LAWRENCE, Mass.—This past Thursday, September 13, just as most families were getting ready to eat their supper, Esperanza Academy teacher, Sasha Weisse, 27, of South Lawrence, Massachusetts, hurriedly sent a message out to her Facebook friends: “I’m alive and evacuated.” Terrified, with reports of explosions and fires throughout the city, Sasha and her roommates had to escape with little notice. Over 8,600 surrounding homes and businesses were affected by Columbia Gas Company’s aging and deadly natural gas system that had exploded first at a Lawrence home, triggering fires and gas explosions in 80 other homes in that northern Massachusetts city famous for the 1912 “Bread and Roses” textile workers’ strike. 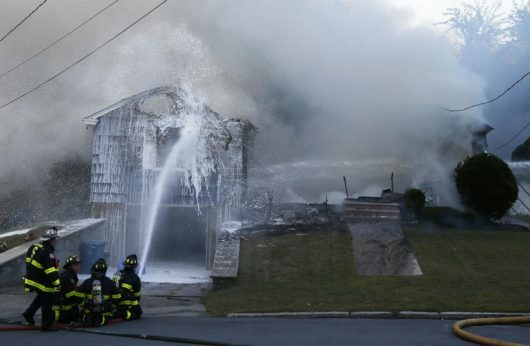 The surrounding towns of Andover and North Andover were also affected. Residents like Sasha waited in the dark—literally and figuratively—for Columbia Gas Company, the city and/or state officials to do something, to let them know their homes and workplaces would not blow up next. But there was no such reassurance. As Columbia Gas fumbled and first responders became overwhelmed with explosions and fires, over a thousand union gas workers still locked-out in a dispute with National Grid, offered their assistance. The United Steelworkers Locals 12003 and 12012 issued a statement saying, “Our 1,200 veteran natural gas workers are ready now to offer our experience and technical expertise during this crisis and to help safely restore service to the region.” The USW workers distributed items, ran errands, and helped those affected by the gas fires and explosions. The following morning, Sasha was angered to find that the only information she had received of any use was an incident map tweeted by the Massachusetts State Police. Adding insult to injury, activist groups and the American Civil Liberties Union were outraged to see that the state police web browser in the Twitter screenshot was filled with bookmarks showing the police keep an eye on local activist websites and calendars. Meanwhile, schools and businesses in Lawrence and surrounding towns were closed and over 8,000 residents were evacuated. By Friday morning, the police and firefighters had been responding to an overwhelming number of fires and explosions—over 80 in all. 18-year-old Leonel Rondon, also of Lawrence, was killed when a chimney from a house explosion crushed his car, and more than 20 people were rushed to local hospitals, several requiring surgery. Lucky for Sasha, she and her housemates evacuated as soon as they could. “Our house is on a Columbia gas line. 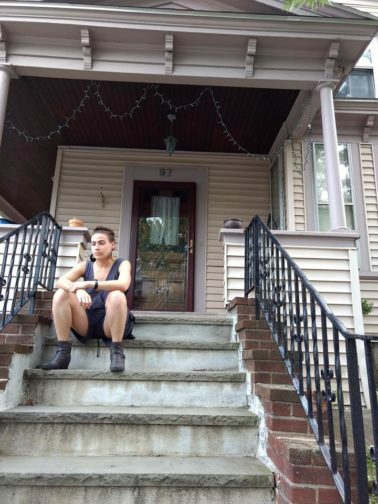 Right now, I’m feeling helpless, sad, anxious, and incredibly angry.” By Monday, four days later, Sasha returned to her rented home only to have to deal with the stress of being told by the gas company that her gas line was still on, though there was an order to close the lines throughout the city. When Lawrence firefighters checked on the valves yesterday afternoon, they were closed; meaning the gas company was not aware which homes had been turned off. Six gas fires blew up in homes and other buildings within a few blocks of Sasha’s apartment. It turns out there are thousands of gas leaks all over Massachusetts. As a result of an embarrassing study that revealed thousands of leaks around the state, since 2014, the state government has required gas utilities to list and fix gas leaks. In a further indictment of the negligent practices of utility companies, according to the Boston Globe, Ohio state investigators ruled in 2015 that Columbia Gas of Ohio was to blame for an explosion that destroyed several homes and damaged more than 20 others. Federal investigators also pinned the blame on Columbia’s owner, NiSource, for a 2012 pipeline rupture in Sissonville, West Virginia. Sasha and her students number among the millions of victims of the apocalyptic breakdown of infrastructure in Massachusetts and the nation. 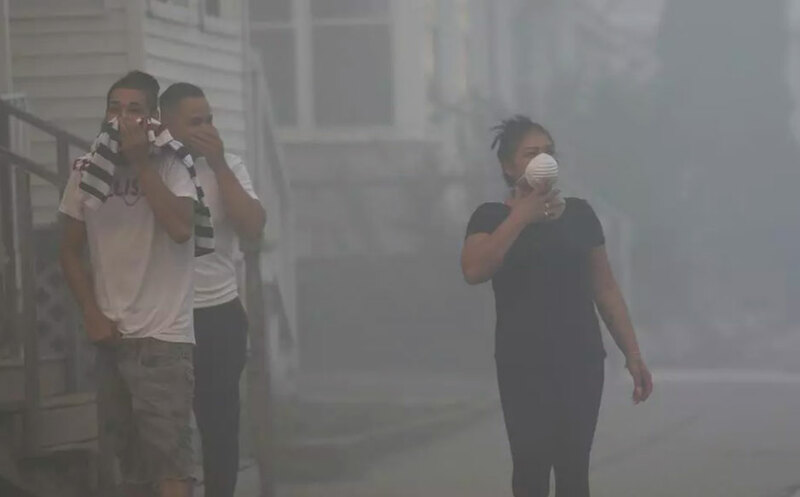 According to USA Today, “About every other day over the past decade, a gas leak in the United States has destroyed property, hurt someone, or killed someone.” That means the explosions in Massachusetts this past week are the tip of the iceberg. One day before the gas explosions began, a large water main broke on the heavily traveled commuter road State Route 16 in Chelsea, Massachusetts, snarling traffic for the entire day. A few weeks before that, another water main blew in Worcester, the state’s second largest city, and in suburban Weston. Almost every day, one or another subway or commuter rail line has been reporting serious delays or cancellations. There are no high-speed trains, and the few inter-city trains are slow, expensive, and unreliable. Every weekday, and many weekend days, traffic jams are common on the region’s highways. Frequent traffic reports are a big part of radio, TV, and web news. The unsustainable U.S. infrastructure is breaking down, with extensive implications economically, socially, and politically. This costly and unsustainable infrastructure has not been maintained, with backlogs in upkeep stretching back to the 1970s. The most obvious breakdown is on the streets, highways, and bridges, which are overcrowded and deteriorating. But the most dangerous breakdowns go unseen until something goes wrong—the broken-down water, sewage, oil, and gas lines. The hardest to see is the human breakdown. The workers that are locked-out, untrained, or overworked—again, until something goes wrong. Sasha herself is a recent graduate who lives under the enormous weight of student loans from her graduate studies. She is emblematic of a society where mounting government, corporate, and individual debt takes precedence over much-needed public infrastructure and human needs. On Thursday, these factors converged when entire neighborhoods blew up or caught fire in northern Massachusetts, but the continued decay of U.S. infrastructure and society will require a lot more than new pipes to fix. 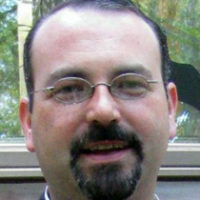 Sasha Weisse and Wadi’h Halabi contributed to this article.